Remember the childhood song “This is the way we wash our clothes, wash our clothes, wash our clothes…”? 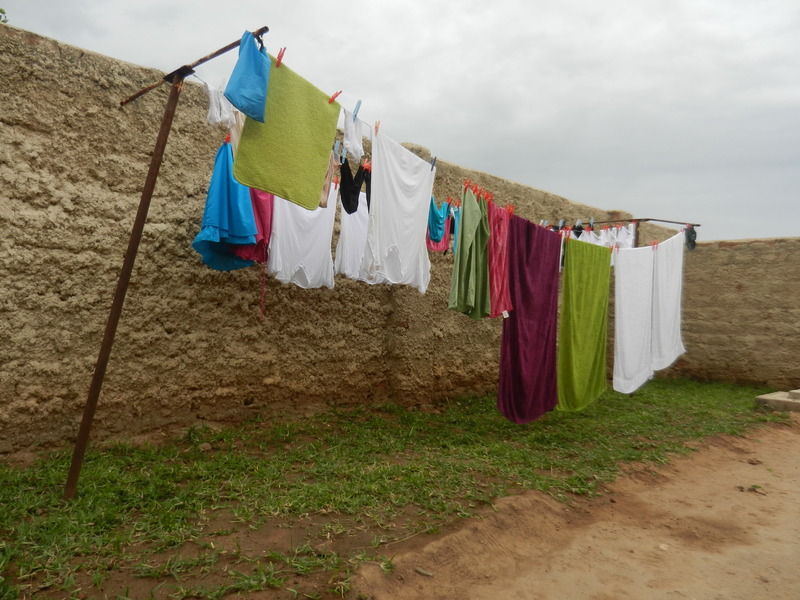 Well, this is how you do it in our little town of Choma without a washing machine…in the shower. 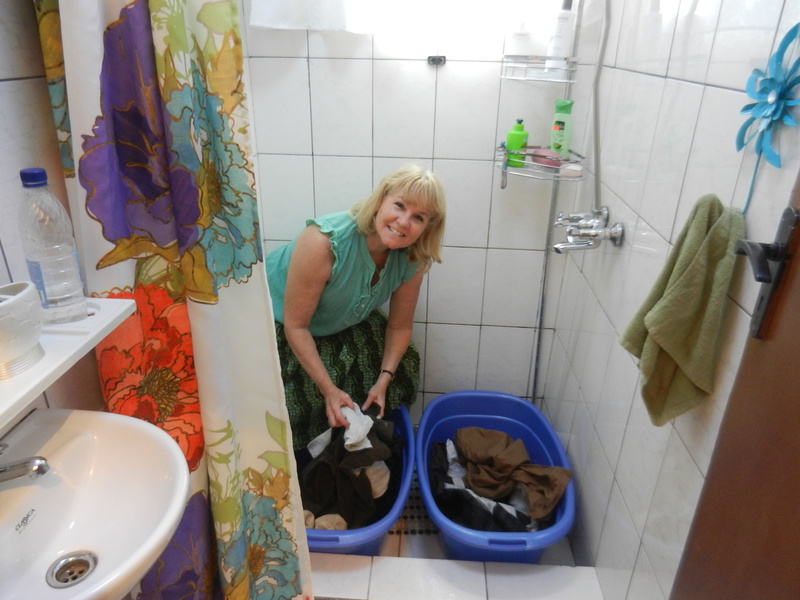 Luckily, this past fall I bought two nice plastic tubs in the capital city of Lusaka – perfect for wash and rinse! Next, you line dry everything. But because there is no “Spin Cycle,” all my twisting and wringing only slightly decreases the hanging time. 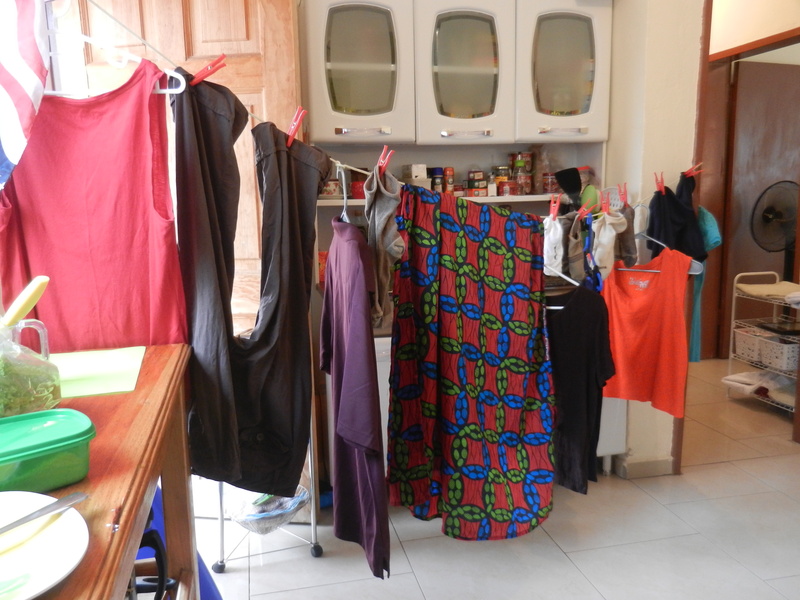 The Zambian women taught me to dry the clothes INSIDE OUT so the sun bleaches them less. The Rainy Season is supposed to be over, but heavy late rains are drenching my laundry. They are also making it hard for the farmers to properly harvest their crops, causing loss of income. So, you do what you can. Jack hung ropes throughout the house and we tried to air-dry the laundry for 3 days with fans as it kept raining. 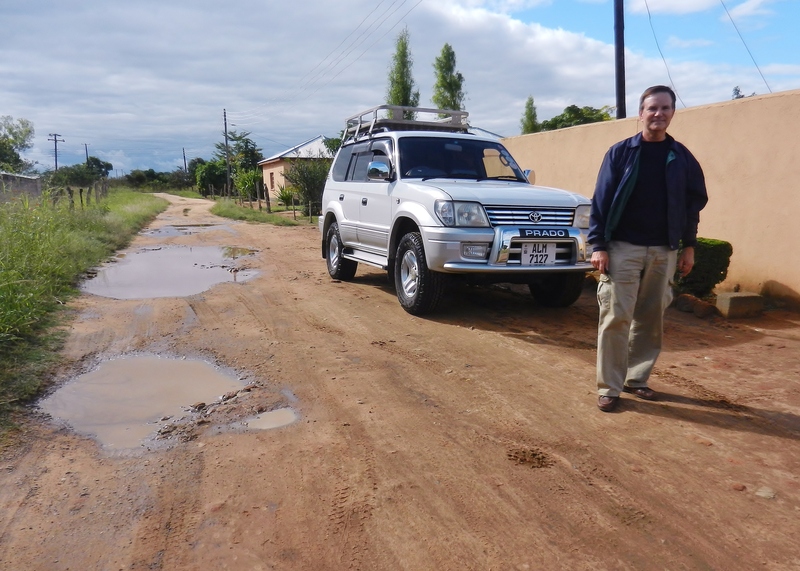 The huge pot holes in our dirt road leading to our house (caused by the previous 3 months of rain) filled again. The largest one even took on the shape of the continent of Africa! 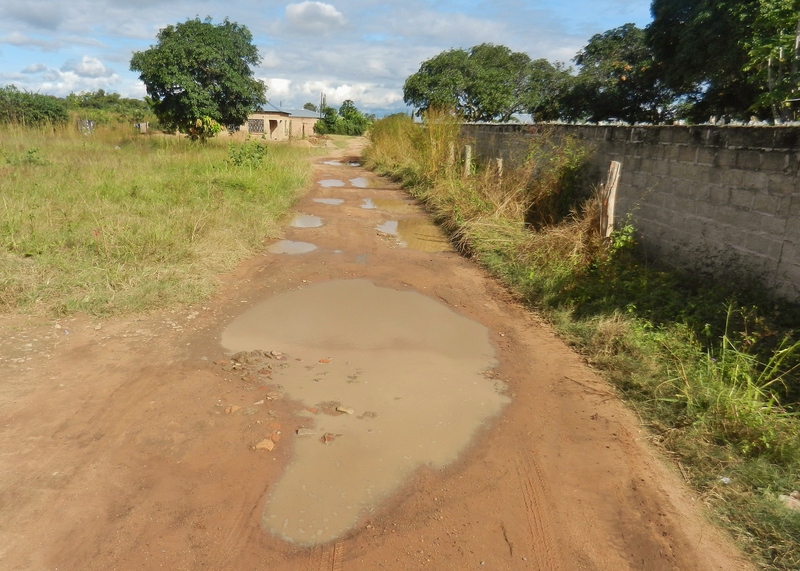 From the photos, you can imagine what it would be like to be a Zambian villager during the Rainy Season with daily rains, temperatures in the 120’s and up, and all that humidity. Plus, you would probably live in a mud-brick house with a grass-thatched roof surrounded by mud and puddles. The environment is cause for many deaths and disease. 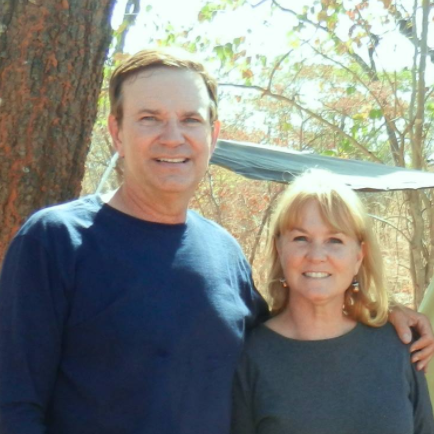 It is impossible for Jack and me, as Overland Missionaries, to even reach the villages due to flash flooding of gullies that become swollen rivers. 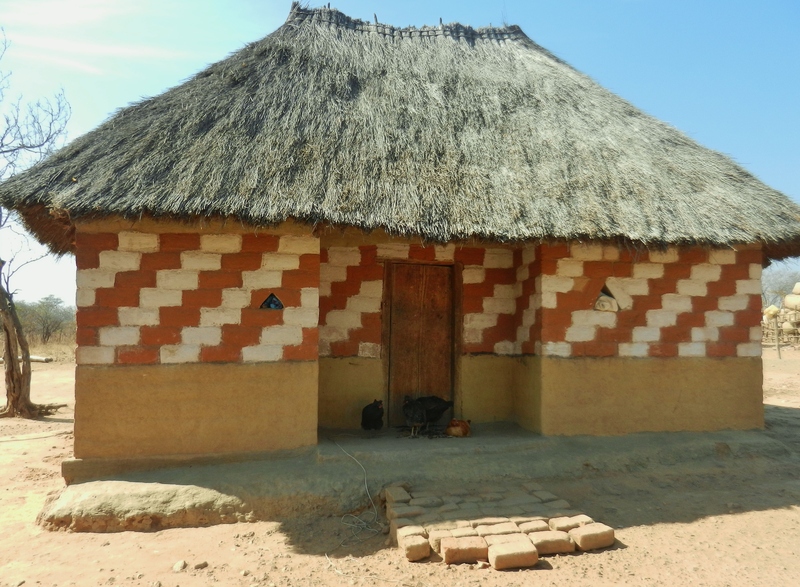 What if we had reached a village, but couldn’t return to the safety of our Choma house? That’s why I will enjoy the luxury of my USA washer and dryer in Tampa, Florida during African Rainy Season. Being a missionary teaches you to not take any indoor plumbing for granted! Posted on April 25, 2014 by fullersmission. This entry was posted in Afica, Blog Posts and tagged adventure, africa, Almighty, christ, god, Healing, Home, human-rights, learning, religion, School, Trip, Water, Weather. Bookmark the permalink.